Top Ten Tuesday: Characters I’d Totally Want To Be For Halloween! This week’s Top Ten Tuesday, brought to you by The Broke and the Bookish, is all about Halloween! Last year I shared with you all my Top Ten picks for Halloween reading and today I’m talking about ten characters I’d love to dress up as. Some of these characters I have already impersonated before, as the pictures will show, but I love them so much I wouldn’t mind wearing those costumes again! Lola from Lola and the Boy Next Door by Stephanie Perkins- Anybody who’s read this book knows how awesome it would be to dress up as Lola. I mean, she dressed up as Marie Antoinette for a school dance! Lola never wears the same outfit twice and each one is her own special creation that reflects her mood for that day. The thing I’d love most about dressing up as Lola would be wearing a really cool wig! Ginny Weasley from Harry Potter by J.K. Rowling – Ginny is my favorite HP character (welllll…that’s kind of a lie, because Sirius is also my favorite, but Ginny is the HP character who I’d most want to be). After years and years of wanting a reason to dress up as Ginny, my friends and I finally agreed on dressing up for the midnight premiere of Harry Potter and the Deathly Hallows Part 2. It was a super simple costume, but I totally felt like Ginny all night :) I even had my wand from The Wizarding World of Harry Potter to make my costume complete. My two best friends dressed up as Luna Lovegood and Dobby! It was so much fun. Robin Hood – Another of my favorite characters whom I’ve already dressed up as, but I’d do it again because it was a blast, was Robin Hood! This photo is back from 2008, when I went to a British Invasion party. The costume I used in this photo was actually from a Peter Pan costume…they are very similar if you think about it. The rest of the costume was simple, and my favorite part was the bow & arrow (although I did love wearing those green tights with my suede boots)! My brother and I would take turn hitting each other with the suction-cupped arrows for months after Halloween. 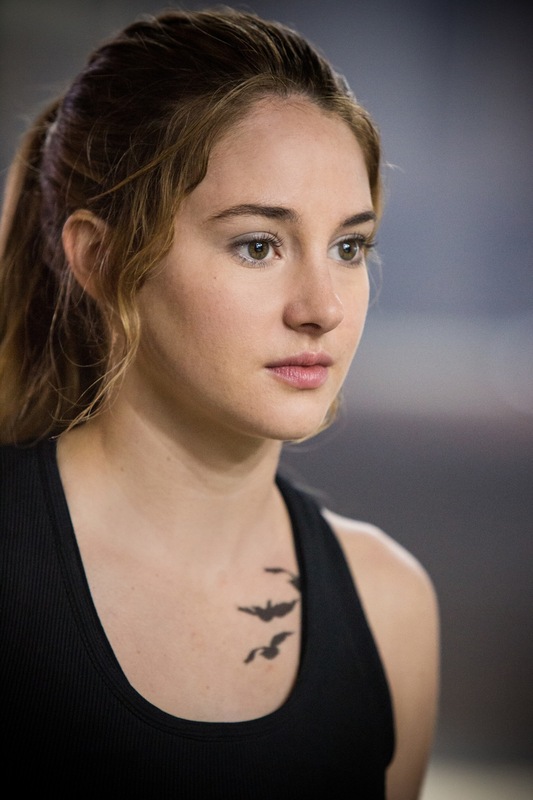 Tris from Divergent by Veronica Roth – I think the coolest thing about the Divergent world is the factions. I knew right away that if I was in Tris’s world, I would also be a Divergent, and I would have also most likely picked Dauntless. I love the characters’ boldness, and their outfits, and their tattoos! My husband also loves them–he thinks Four’s tattoos are awesome as well. This would be a really simple last-minute costume to do: black shirt, black pants, black shoes, and a cool bird tattoo. Willy Wonka from Charlie and the Chocolate Factory by Roald Dahl – Willy Wonka is a total nut job, but it sure would be fun to dress up like him for Halloween. Either Johnny Depp or Gene Wilder’s version would be cool, as long as I get to wear a velvet suit jacket and carry around a cane. And you can bet that I’d bring a big bag of Wonka candy to give to all of my friends. 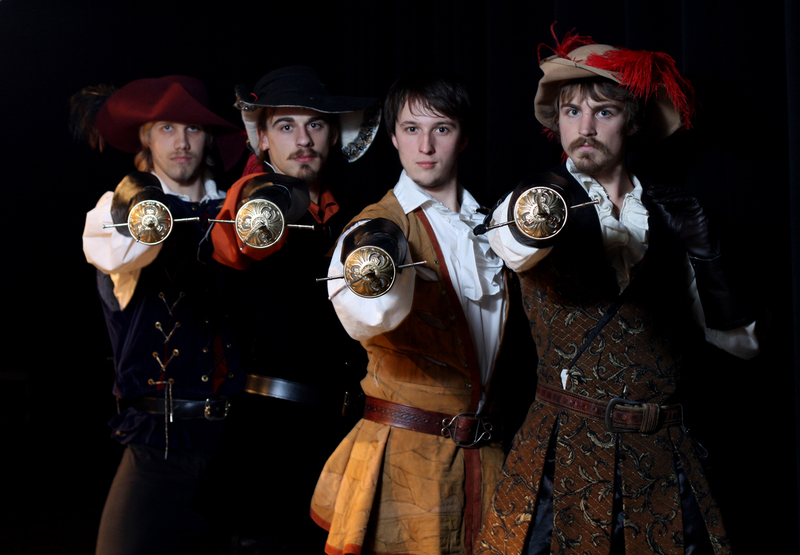 D’Artagnan from The Three Musketeers by Alexandre Dumas – I think this would be an awesome group costume idea. Cool hats, mustaches, and swords! Plus, I really like wearing tights. D’Artagnan has always been my favorite, but I wouldn’t mind being any of the Musketeers. There are ten characters I’d love to dress up as for Halloween! Did you like any of my choices? Which character would you choose? On another subject: you live an hour from Baltimore now — can I ask what area? I lived in the Columbia area for 15 years before moving to Norway, and consider Maryland my U.S. home. That’s where we’ll probably be settling when we move back to the States eventually. 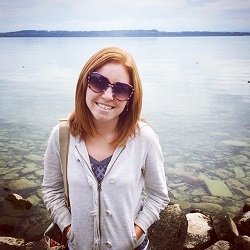 Harriet the Spy! That’s a great costume idea! She was really popular when I was a kid too, I think because of the movie. Small world! We live in Southern Maryland, in Calvert County. I love Rapunzel! That would be top of my list and my husband would probably love it since he’s in love with Rapunzel for some reason… lol! Great list! I loved this list! 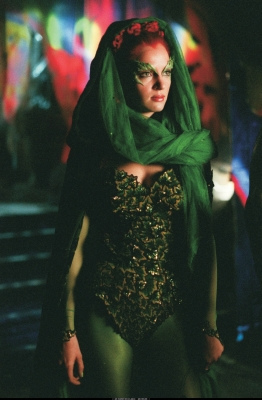 And I would never have thought of Poison Ivy from Batman. Very cool. Fun list! I had the hardest time coming up with male characters for some reason but I love all of yours! Robin Hood would be so fun. Good to see I’m not the only one! 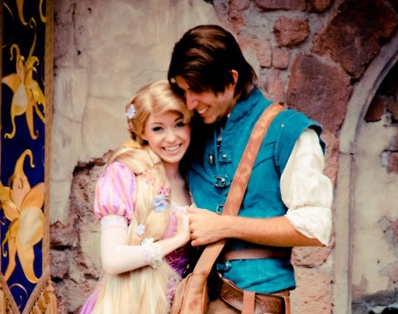 I think dressing up as Rapunzel would be so fun. I know, right?! The hairstyle alone would be awesome. Tangled is one of my favourite Disney movies of all time! Those costumes would be cool. 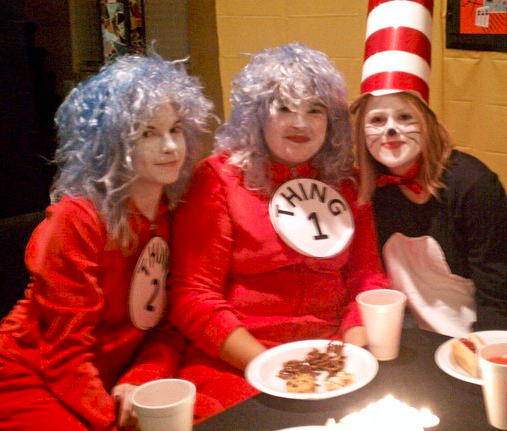 These are some great costume ideas, and so fun that you included your own pictures! 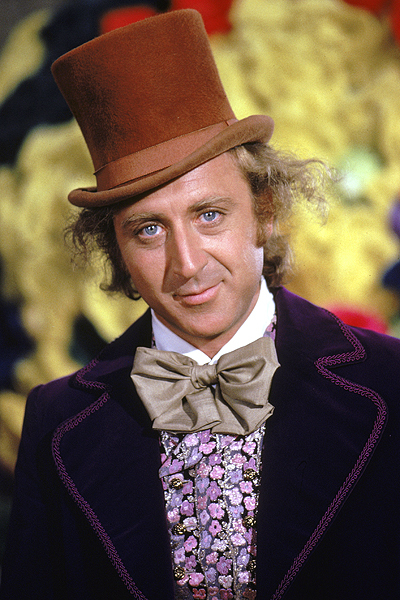 I would definitely love to see someone go all out Willy Wonka for Halloween. I remember running into you guys when you were dressed up at the Harry Potter Premiere! I was dressed up as Hermoine. 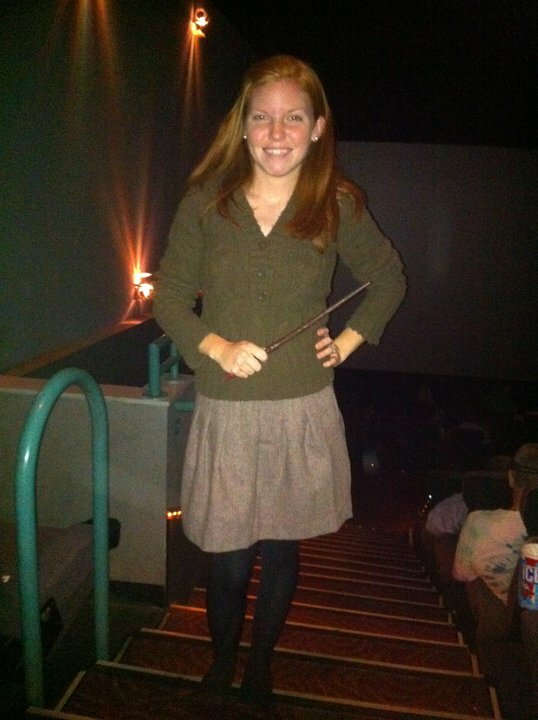 :-) I miss going to Harry Potter Premieres at the movie theater! Willy Wonka would be a good idea…I might steal it. I have a purple velvet blazer that I bought years ago just because it was on sale for a really great deal (what was I thinking?!) and I’ve never worn it…It’s just hanging in my closet with the tags still on it. Willy Wonka would be the perfect excuse to use it, haha! That’s right! We did run into each other! I can’t think of any other use for a purple velvet blazer than to make a Willy Wonka costume :) You should do that! 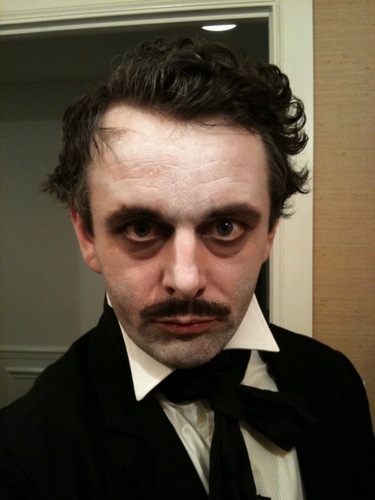 OMG I love the Lola costume and Edgar Allen Poe too of course! Especially since we discussed how awesome he is over at my blog!